Ellicott City Therapist: Kathryn Reynolds - Therapist 21042. Session Fees: Call for a free phone consultation. This practice does not participate with any insurance companies, but documentation can be provided if a client wishes to submit to insurance for "out of network" benefits. 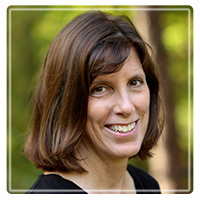 Kathryn Reynolds is a Licensed Clinical Professional Counselor (LCPC) as well as a National Board Certified Counselor (NCC) and is Director of Maryland Psychotherapy Center, LLC. She has 30 years experience as a psychotherapist and has learned various strategies and approaches during this time that facilitate her clients growth and recovery. Life Transitions such as retirement, moving, and empty nest. Therapy usually occurs on a weekly basis for 50 minutes, but frequency and length can be modified according to the needs of each client. First sessions are often longer. During the first session, you will have a chance to talk about your situation and your therapist will obtain some history and other relevant information from you. Goals of therapy will be identified and periodically revisited. Although most people are nervous and uncomfortable being the "client" in that first session, this usually passes very quickly as you get to know the therapist and experience a warm and accepting environment. A 50 minute session costs $150. Payment is expected at the time of therapy and a receipt can be provided for you to submit to your insurance. Therapy Services will be considered “Out of Network” by your insurance company. This practice is convenient to the following areas: Ellicott City, Columbia, Clarksville, Marriotsville, Elkridge, Catonsville, Baltimore, Woodbine, Fulton and Scaggsville. Kathryn has been worked in community mental health, nonprofits and as a contractor prior to starting her private practice in 2007. She provides a warm and accepting environment for clients to explore their issues, tell their life stories and develop new strategies to deal with their particular situation. To get started on your recovery today, give Kathryn a call for an initial free telephone consultation.